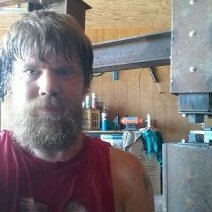 Anyway, I was in the machine/material shop at work the other day, and they had some big key stock (1-1/2” square by a foot long or so) that the machinist told me was ‘tool steel’. Anyway, the machinist said I could have a short section (6”) that had been cut off of one of the bigger bars since it was basically scrap to him anyway. They get most of their stuff from McMaster-Carr, and their website says it could be anything from 1018 to 1045 to maybe 8630. I haven’t spark tested this piece yet, but even if it’s just mild steel, I could forge weld a piece of high carbon onto the face to be able to heat treat it. I guess one of my questions is this: is a 1-1/2” square face too small? I don’t make very large knives, yet at least, but that’s still a decent bit smaller than the hammers I’m currently using (3lb’er and a 2-1/2lb’er). I’m shooting for around a 2 to 2-1/2 pound hammer, so I’ll have some material to test heat treatment with if it acts like it’s got enough carbon to bother with that. 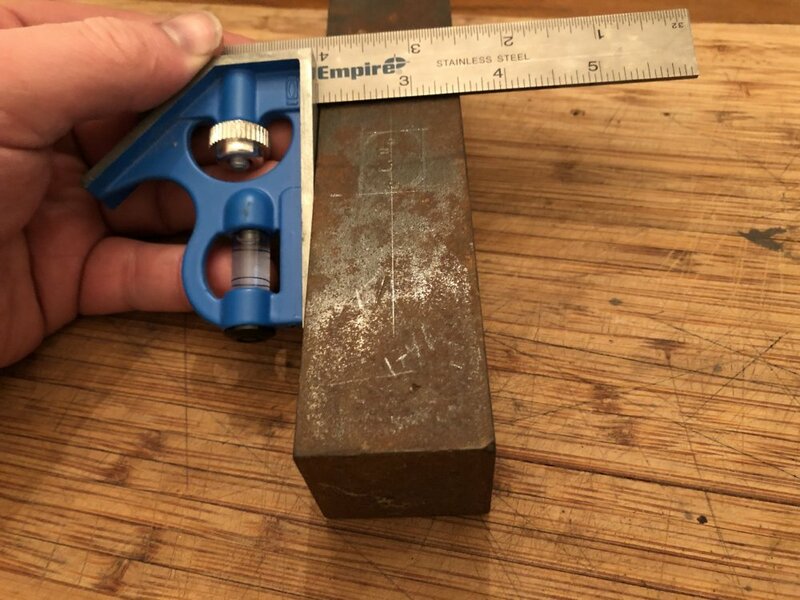 1.5" square is a fine size for hammers. And you answered the part about hardenability. That would be perfect size for a dogs head hammer. I found out that it is actually a lot easier to punch an eye than I thought it would be. Just use something as a punch release or a punch lube. 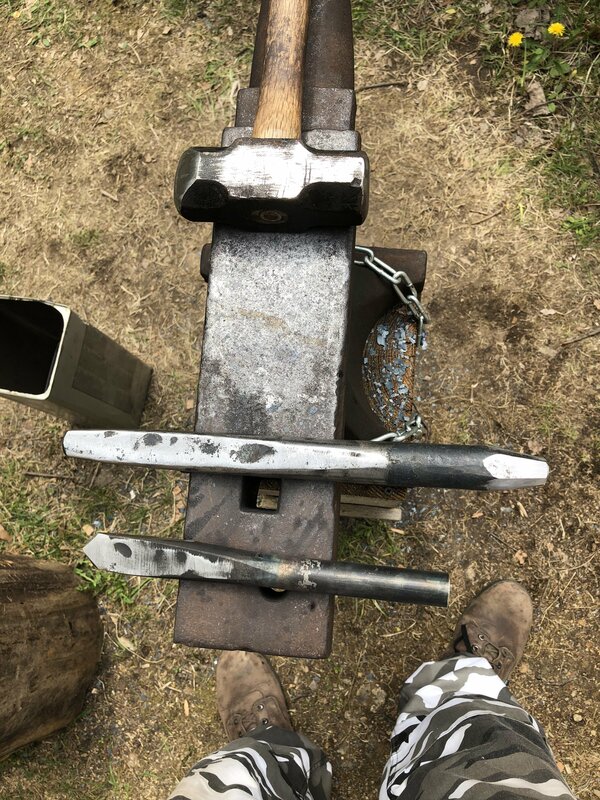 When it comes to heat treating the face of a forging hammer you might want to remember that it will be easier to reface the hammer than to reface the anvil. Six inches of 1 1/2 square is about 3.83 lbs. Yep, that’s about dead on. I’m gonna cut a bit off one end to get down to the 2lb-ish mark. Plus, that’ll give me something to test heat treatment on if it is in fact a steel with enough carbon for that. So, gonna just wait til tomorrow after I refill my tanks, and get after it then! When it comes to slitting chisels, slot punches, and drifts, sharp corners are the bane of good results. You took off the corners on the drift, but on your chisel/punch? you left the corners proud. You'll get better results if you take them down. Also the striking end of the chisel needs to be domed. Not sure what I'm seeing, could be the photo angle, but it looks as if the chisel is wider then the drift. I’ll be sure to, thanks for the advice! Yeah, I shoulda forged the struck end down like the drift, but I guess I forgot to like a dummy. The one thing you want to think about when facing it is make it thick enough to be able to dress it the way you want it. Personally I think 1/4 inch stock would be sufficient.